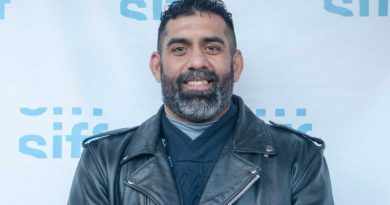 This new segment exclusively on Fox Sports 1340 AM’s website will keep track of both teams performance from week-to-week. Opening week has now come and gone and what a first week it was. It wasn’t the opening the Baltimore Orioles or Washington Nationals hoped for but there were definitely bright spots so let’s cut the extra stuff like this paragraph and get into it. After their first game of the season being postponed they decide to just have their way with the Reds sweeping the series (for now) with a run differential of 21-12. 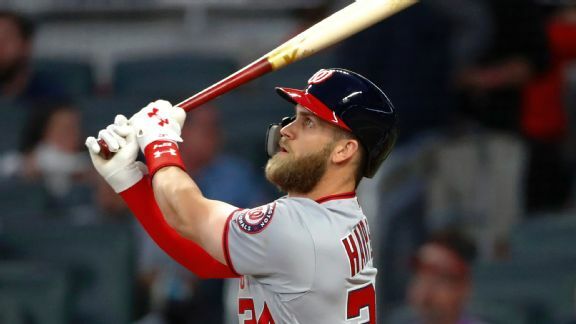 Unfortunately, their first week of the season ended in such an embarrassement even the red-hot Bryce Harper couldn’t help them to a record above .500. Losing the series to a below-average, and I’m putting that very lightly, Atlanta Braves team then coming back to D.C for their home opening series to be swept is a shame. Well, most of the blame could be put on relief pitcher Brandon Kintzler as he is currently 0-2 with a 15.75 era being a main cause of the Nationals recent loses. He leads the league in home runs (6) and is top 10 in every other hitting category, including first in slugging (1.000) and OPS (1.535). Also, Harper had a hit in all but three games for the Nationals opening week. Gio Gonzalez and Max Scherzer both have an era below 2.00 while Stephen Strasburg is pitching a solid 3.65 era. The three starters combine for 43 of the team’s National League leading 100 strikeouts. 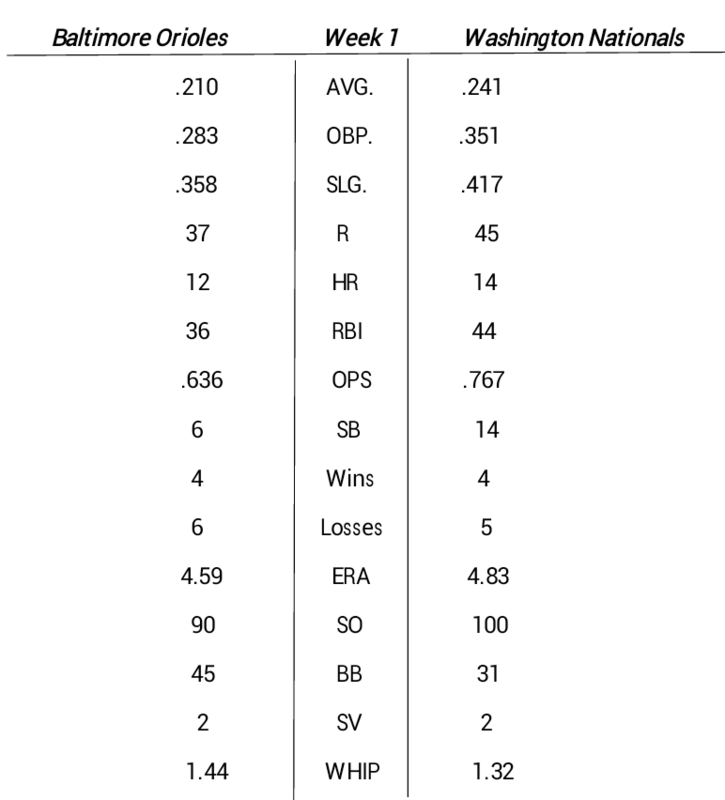 The Orioles had a similar first week as the Nationals. Both teams were swept in a series. And both team lost their home opening series. While the Nationals are coming off a sweep, the Orioles have the momentum heading into week 2 of the season after taking three of four from the Yankees. 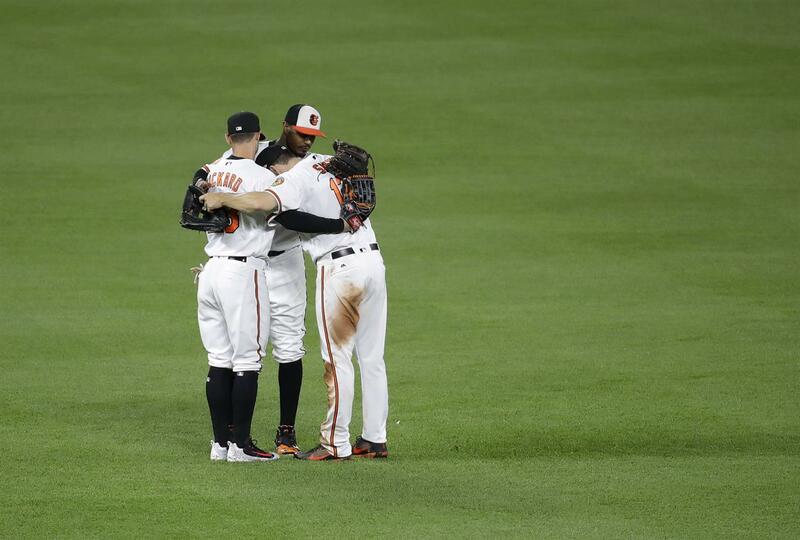 The Orioles have a perfect 3-0 record in extra innings and it’s only one week into the season. 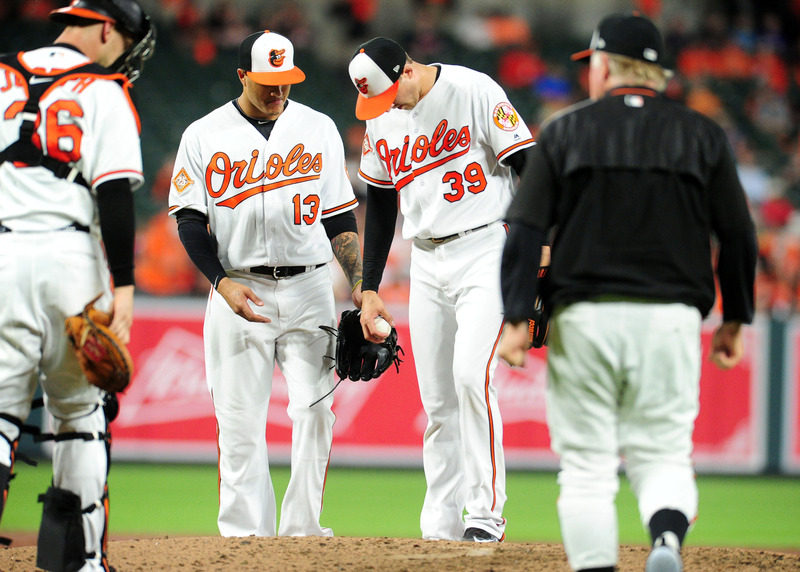 While three wins are great, it does show that their bullpen is carrying the weight of the back-end of the Orioles starting rotation. 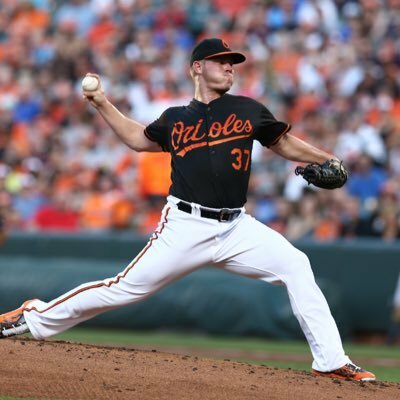 Alex Cobb will enter the rotation this weekend making the Orioles season more promising. Here are the couple bright spots for the Orioles. Bundy is absolutely dealing. Despite not being able to get a win, Bundy’s 0.69 era is 5th among AL starters with two starts. He also has 15 strikeouts to just three base on balls. All better starts than his first two starts from last season. 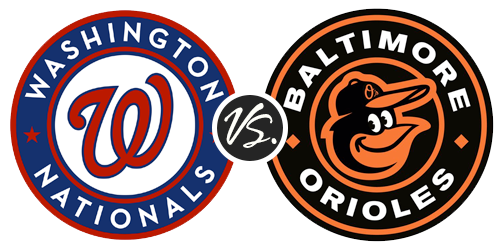 The Orioles scored more runs (22) in the 7th inning or later than they have from the 1st to the 6th inning (15). As stated before, the Orioles currently hold the best extra innings record in the league. Both teams had similar a similar opening week. There wasn’t much difference in statistics, either. So it’s probably safe to keep the trash talking at home this until this week is over.